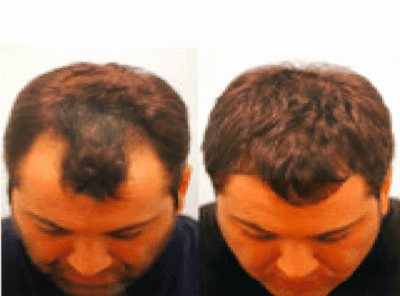 Maybe you’ve considered a hair transplant but shied away from the procedure because you’ve heard about or witnessed results that look unnatural and leave visible scarring. With a SmartGraft® hair transplant and the expertise of Mark Ghalili, DO, at Regenerative Medicine LA, you can count on exceptional-looking and natural results. No matter what caused your hair loss, you can restore hair growth with a SmartGraft transplant. To learn more, call the office in West Hollywood, California, or book an appointment online. The SmartGraft is a hair restoration device designed to perform a type of hair transplant called follicular unit extraction (FUE). 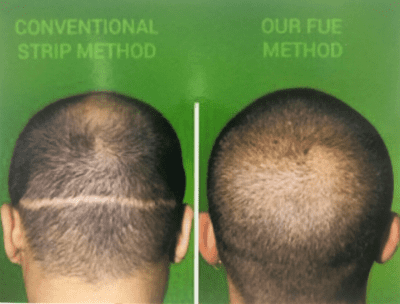 FUE produces the most successful and natural results because the device extracts hair grafts as individual follicular units. By comparison, other hair transplants harvest a thin strip of hair, which leaves scarring. Your transplant looks natural because Dr. Ghalili carefully places each individual follicular hair unit into balding areas, making sure they grow in the right direction and resemble your natural hair growth patterns. Am I a good candidate for SmartGraft? 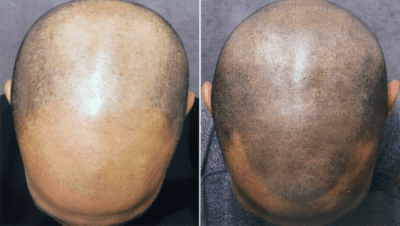 Most women and men are good candidates for a SmartGraft hair transplant. SmartGraft can restore hair loss that develops from virtually every cause, whether you inherited male-pattern or female-pattern baldness, or your hair loss is due to hormones, tight hairstyles, or stress. The only requirement is that you have donor sites with enough hair to harvest. Although donor hairs usually come from an area of healthy hair growth on your head, one of the great advantages of the SmartGraft device is that it can harvest hair from other areas of your body, such as your chest, back or face. What should I expect during a SmartGraft procedure? During your SmartGraft procedure, you sit comfortably in a chair, then Dr. Ghalili applies a local anesthetic in the area where he plans to harvest your hair. Then he uses the motorized SmartGraft handpiece to gently extract follicular units from the donor area. The extracted hairs are automatically counted, separated, and placed in an environmentally controlled canister, which keeps them moist and healthy while waiting to be grafted. After anesthetizing the area of your head receiving the new hairs, Dr. Ghalili precisely places each individual follicular hair unit into areas of balding or thinning hair. The procedure takes about 5-6 hours. When it’s over, you have a few restrictions on activities, but many patients return to work the next day. After your hair takes root, it may shed, but that’s perfectly normal. New hairs begin to grow in about three months. You’ll see a significant improvement in six months, and you can expect full hair growth after 12-14 months. To learn more about SmartGraft hair restoration, call Regenerative Medicine LA or book an appointment online.